India and South Africa will be playing 3 Tests, 6 ODIs and 3 T20s in South Africa; which will be starting from January 5, 2018. Last time India visited South Africa was in 2013-14 before 2015 ICC Cricket World Cup which was won by South Africa. While last time they met was in ICC Champions Trophy 2017 in England. 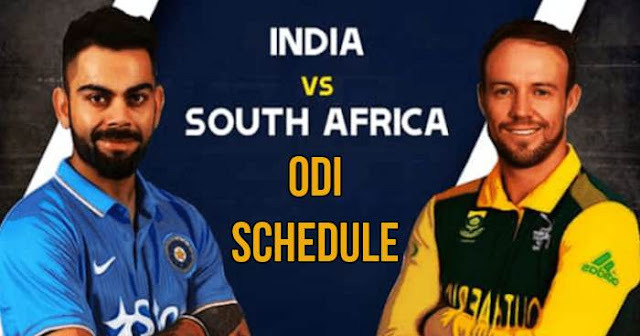 Full ODI series between India and South Africa was played in India in October 2015 and India won it by 3-2. India is yet to win ODI Series in South Africa. India is coming with a series win against Sri Lanka. On the other hand, South Africa is also coming with the series win against Bangladesh in October 2017.